FORMER President Robert Mugabe's life will be told on stage through a play called Robert, His Story History, to be premiered at the Bulawayo Theatre at the end of this month. 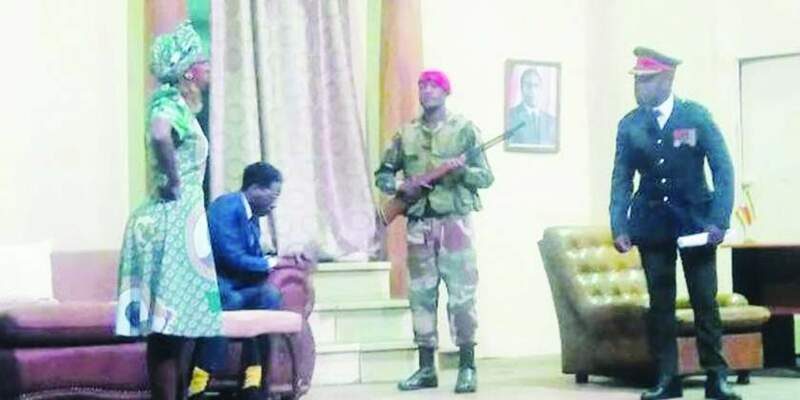 The play penned by Memory Kumbota and Nkululeko Nkala is about Mugabe's life when he instigated the liberation struggle until his resignation in November last year. The play will premiere at the Bulawayo Theatre on April 25 and 26. Award-winning actor Gift Chakuvinga will play the role of a younger Mugabe while Cyprian Tazarurwa will take up the role of an older Mugabe. New in theatre, actress, Linda Ndiweni, will take up the role of the late First Lady Sally Mugabe while another award-winning actress, Charmaine Mudau, will play former First Lady Grace Mugabe. Nkala said the play was written to tell stories of Zimbabwe's icons before foreigners do so. "We want to tell the story of our icons without people from outside the country telling us how to do so. We believe that we're better placed to tell the story of Robert Mugabe than anyone else because we are Zimbabweans," said Nkala. He said the play will look at Robert Mugabe's life and how he got into politics. "Robert, His Story History will be about how a young Mugabe rose to be a political icon in Zimbabwe and Africa. We shall tackle everything pre and post independence about Mugabe with the different characters who were there at the time, like his first wife – the late Sally and his second wife Grace," said Nkala. He said the play was being premiered over two days because they wanted to create a culture of plays having seasons. "Most plays in Zimbabwe only showcase for one day. We want to create that culture where a play will be showcased over two days or a week so that people get the chance to watch it. This is what we want to do with this one," said Nkala.